A Perfect solution for brighter and smoother skin. An ever Growing family of 31000+ smiling customers. 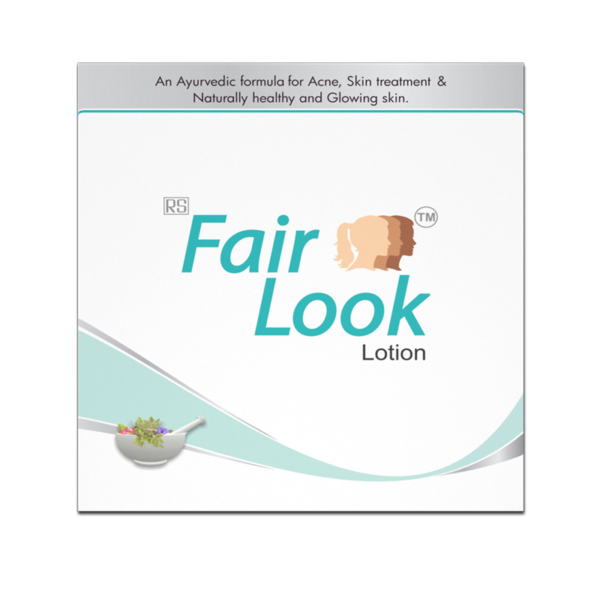 Fair Look is a complete skin care solution from the lap of Indian tradition and powered by the blend of Ayurvedic ingredients. Chemical free manufacturing, ensures it to be safe and side-effect free for all type of skins whether oily, dull, dark or normal. Perfect for removing acne, blemishes, dark spots and pimples it makes your skin smoother and brighter. It removes unwanted marks/spots and ensures flawless, uniform and glowing skin. 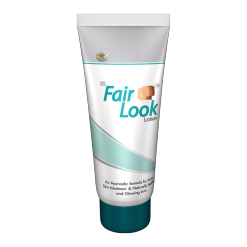 Fair Look has been designed to work from the inside and make the skin healthier and younger as well as it ensures a lasting impact on the skin. Note: It can be used by both men and women for complete skin care. What does one box of Fair Look Fairness Lotion contain? 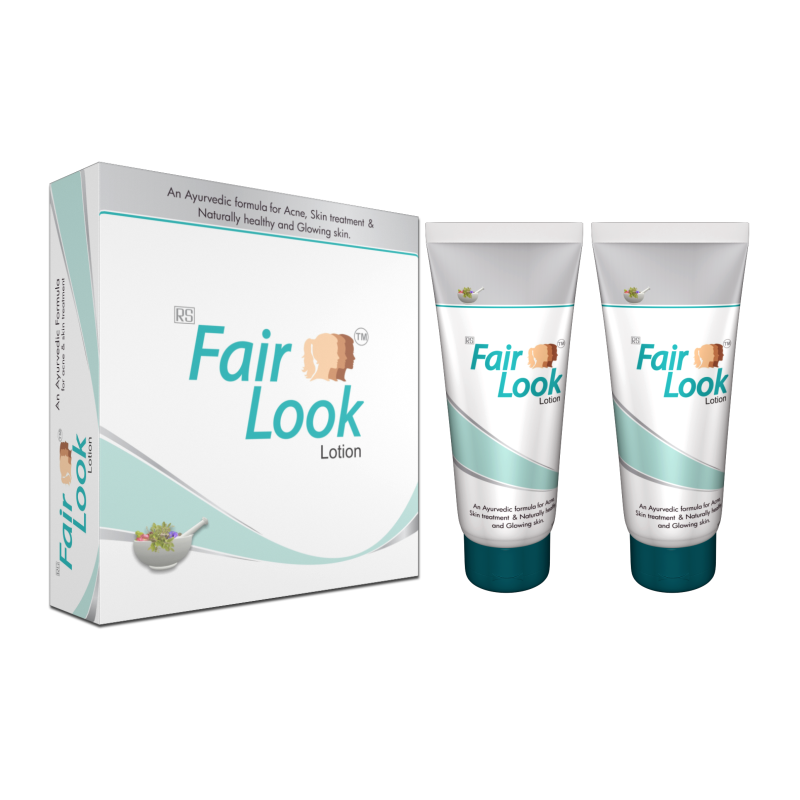 A box of fair look cream contains 2 tubes each of 100 gms for use in one month. Who can use Fair Look? A unique blend of Ayurvedic ingredients, Fair Look can be used by both men and women with any skin type. How to use Fair Look? Step 1: Gently clean your face with rose water. Step 2: Take 1 part of Fair Look Lotion and mix it thoroughly with 2 parts of tomato juice. Step 3: Apply the prepared mixture on your face & neck. Step 4: Wait for 15 minutes. Step 5: Wash your face & neck with cold water. Note: Recommended to use twice a day for best results. Do not use soap immediately after using Fair Look. Why is Fair Look so special? Excellent for pimples and acne removal. Ensures flawless skin and maximum fairness. 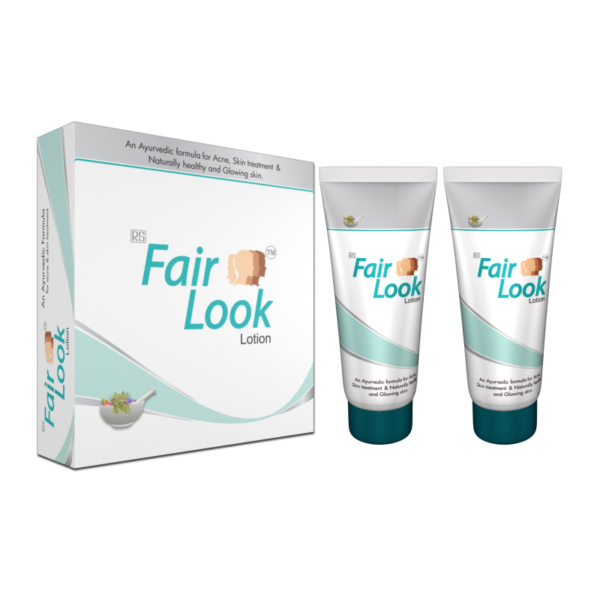 What are the Ingredients in Fair Look Ayurvedic? Turmeric / Haldi – For controlling the growth of unwanted substance on the skin like blackheads, blemishes etc. Manjistha – Reduces discoloration, pigmentation and ensures uniform skin tone. Sandalwood / Chandan – For skin brightness and minimizing aging effects. Aloe Vera – Perfect antibacterial for removing acne and pimples. Lemon Peel- Antioxidants to detoxify the skin and prevent acne, pigmentation etc. Licorice / Yashtimadhu – Diminishes under eye dark spots, discoloration and age spots. Chironji Seeds- Acts as a moisturizer and provides flawless skin. Rose Petals- Locks moisture in the dry skin, act as sunblock and ensures glowing skin. Honey – Ideal antioxidant and antibacterial for slowing down aging. Suggested to test the product on hand before using it on the face to avoid any undetected reaction or allergy. Not recommended for people having highly sensitive or allergic skin. 1) good result no need to use full quantity. 2) Anyway, I am satisfied and liked this product. 3) I can give you 100% Teleshoppingmall guarantee for this product. I like the product. Best for oily skin as it stays matte. It cleared spots on my face. Only thing is I feel like it clogs the pores of my face after application. I started using Fairlook lotion a 1 month ago and did wonders for my skin! I have always suffered from acne-prone skin, pores, oiliness and general patchy skin issues. Nice product. Feels softer on skin. Should recommend to buy. Nice product,just within 4 weeks I noticed some changes…..
After week-long thinking, I decided to try out Fairlook for my wrinkle problem. My wrinkles started after my pregnancy. Almost all wrinkles are now gone. I feel my skin getting firm and toned. My wife is using it, and it does have reduced her wrinkles. I am again ordering for 2 months. I and my daughter are using it. Extremely useful for acne. Got delivery after 10 days. Need to improve customer service. Just used for 6 days. Waitng to see positive effect. Fairly satisfied with results. Delivery charges are high. I used it. I am satisfied with the results. 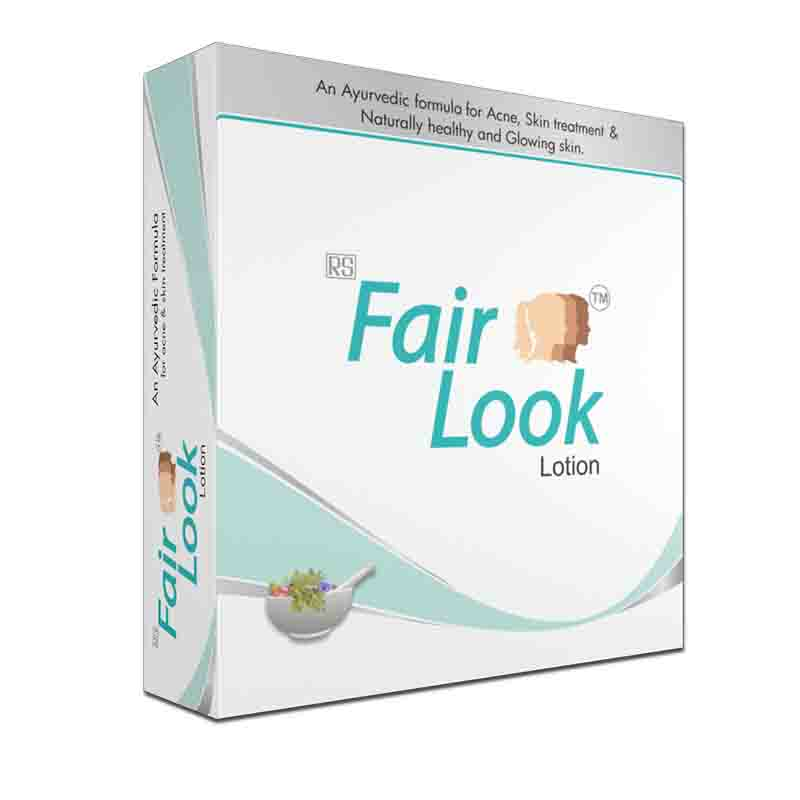 Fairlook lotion is a good ayurvedic product. I didn’t experience any side effect. However, it seemed little costly. It’s not good or possible to wear makeup daily and selfie trend is going on everywhere so if you want look good every time without makeup then just use daily FairLook for that flawless skin. Ya that’s true that it is really savior for any girl because it provides instantly good skin and its all look natural .I am overwhelmed by the response this cream has given. Have been using this product for months. Really nice cream at very reasonable price. It will make you fair if you are little dark but certainly will give you instant brightness. 1) gives skin an instant fair look. 2) it also gives a matte look. No shine or oily layers are left on skin. 5) a good choice for oily skin. 7) really very very affordable. 1) for very dry skinned people, it is a bad choice preferably in winter. They have to put moisturiser first before applying this cream. I use this Fairlook for last one month. My pimples are now under control. My sister is also using it. Daily using Fairlook is very effective on the face. Ridiculous product, nothing is delivered as claimed. 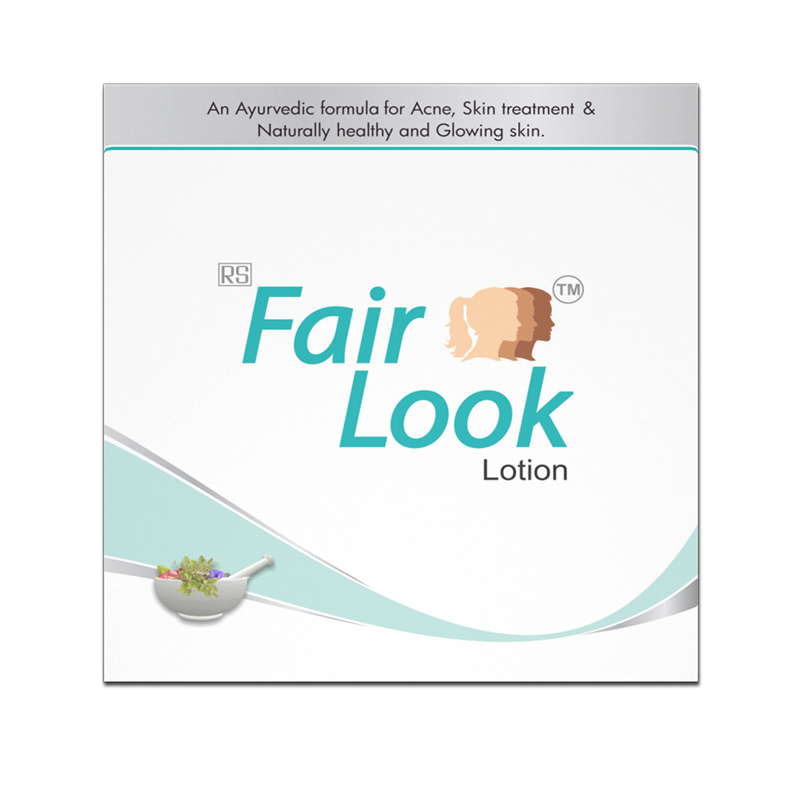 Fairlook lotion is very good for fairness. I ordered 2 months and got very good results. I used Fairlook lotion for dark spots and glow. I used for 3 months and was very happy with the outcome. Most important is that product is Ayurvedic with no chemicals. I tried a lot of products before this. This lotion works best. No side effects. I was looking for some product for fairness. I used Fair look for 2 months and got good results. I’m 18 yrs old. I bought fair look 2 months back used it for 20 days and could see visible changes in my face , skin lightened in just 20 days of usage . Now I have ordered for 2 months. I ordered for 1 box of fair look 5 months back used it for a month and experienced remarkable changes in the skin-tone , my skin tone has lightened. I bought fairlook in January, after using for 1 month. I could see light changes in my complexion and pimples were cured. And I order for 2 women more. I had a dark complexion, used it for 2 months and I could see visible changes in my complexion. Skin tone has become lighter now. I have recommended the same to my neighbours … My neighbours have also ordered the same for 3 months. I bought this product as I had pimples and acne …used it for a month and it cured all the marks and I didn’t have to use it again. I am ordering another pack just to keep if I need it again. My sister gave me good reviews after using it, hence i started to use it as well and the pimples and marks have disappeared and my skin has become fair and glowing. My sisters skin also has become fair and glowing. I have used fairness cream in the past which had bleach and other chemicals, it burnt my skin. I was looking for a herbal solution and I saw the ad for Fairlook on TV. I ordered the product and tried it. The marks have reduced on my face, though it took a month to see the difference. I used various fairness products and had skin itching, breaking out, rashes due to that. Lately I started using Fair Look and it’s giving me marvellous results, surely a safe, healthy & chemical free product. I was worried about results. after 2 weeks now I can see that my skin is ok and I m seeing visible difference. I am using this for one month. My skin type is combination skin. My skin tone has become bright and dark spots got reducing. Very good product. I had a dark skin earlier but with constant use of Fair Look for 2 months not only me but my family & friends are giving me compliments. My brother bought this for me. Overall I am completely satisfied with the product. The product does take a long time to show the results also the delivery was delayed but whenever I called Customer Care they resolved my delivery issue and spoke politely. After using this for 2 weeks, I was not disappointed. Been using this for everyday purpose and it’s amazing. I have been using this for long now. It made my face clear and soft. I don’t have any black spots no more. I feel better on my face. Act very well.Diminish dark area of face.Give fairness. Very nice product, amazing for regular use also refreshes and leaves a glow on the face and gives clear skin. Do not scrub hard just give a gentle face massage and wash off. Works very well. skin friendly. Its ok for complexion whitening but cleaning is very efficient. Nice product, though I was expecting little more but still good enough. Been using for a month now, its a decent product, not very effective though and obviously it won’t make 3 tones fairer, would recommend it for sure. it is ayurvedic so I guess it works slowly than other lotions. Results are slow but working. It suited for my skin type, have used one box so far and haven’t got any pimples or blemishes. Bought two more for the season. So far so good. Results are not as fast as expected and guaranteed but it’s working, getting compliments for radiant and clean skin. I’ll try it more as I am little sure it’s working. Delivery was fast. Product packaging excellent. Tubes were perfectly sealed. Best lotion I’ve used so far. Best if you use it as per instructions. suitable for my sensitive skin. Ordered this product month before my wedding and happy that it worked a lot in just one month. Now, I look good even without makeup and enjoying my college days skin.